We customize your Hand Issue and Valet Tickets quickly and economically! and sizes of hand issued tickets! Run your business more successfully and more accurately! 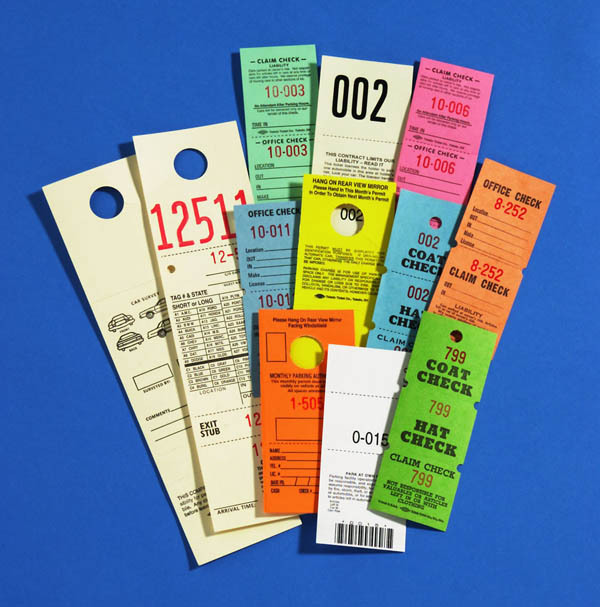 Our tickets can be customized for ANY number of parts, ANY number of colors. 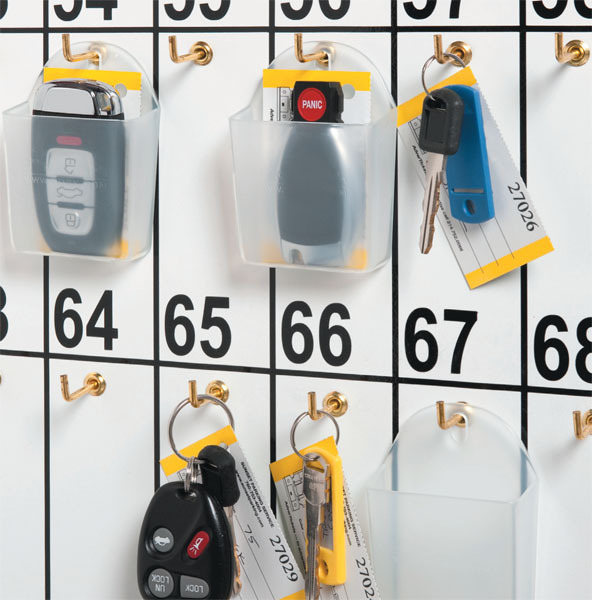 Run your valet business more efficiently, and make your employees' work more accurate! Our new valet multi-purpose storage pockets have been uniquely designed for keys, keyless entry remotes and cell phones - AND the valet ticket stub. 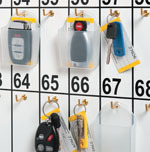 No need to fumble around with rubber bands, or tape to secure keys and remotes that do not come with integrated key rings. Check out the details.